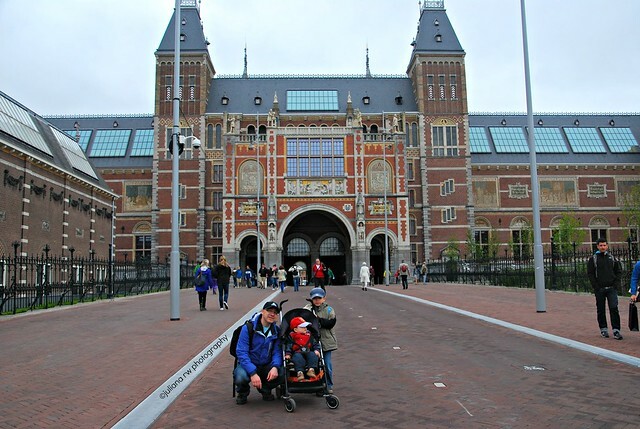 On that day, we went to Rijksmuseum in Amsterdam with a train. Matthew was very excited, he likes train. It was our first time to visit this museum but not for hubby. Last time he went there, when he was still at school. So...long time ago. 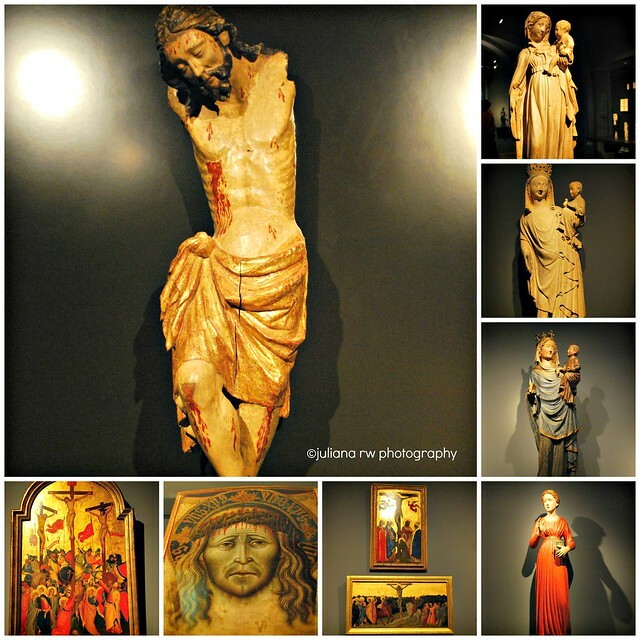 This museum was reopened again this April 2013, after 10 years renovation and cost around €375 million. So many too see in little times. There are so many objects (from 18th - 21st century) to make photos, difficult for me to decide which one should I took a photo and which one not. This one made outside the museum. There were so many people inside the museum when we arrived. There were long line on every locket to buy tickets. Children under 18 years are free charge. We were lucky we brought our own lunch, because they were long line too by the restaurant. 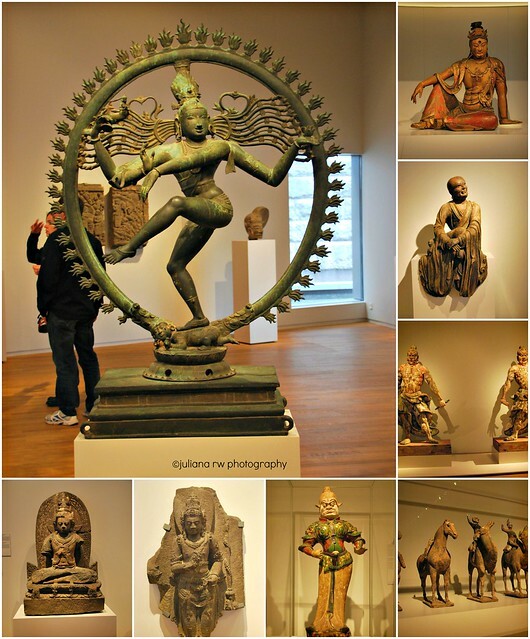 I took few shots inside the museum. 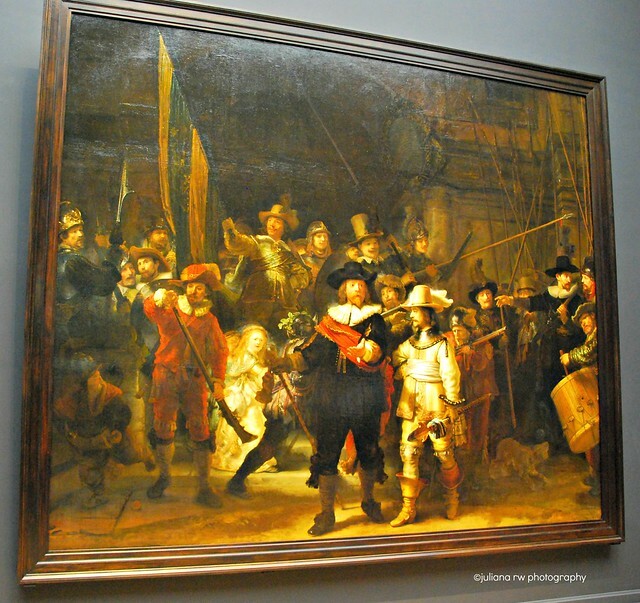 This is the famous painting "The Night Wacht" from Rembrandt. I can't get the right angles to make shots of the painting. Too many people stond for the painting. I did my best to make some shots. 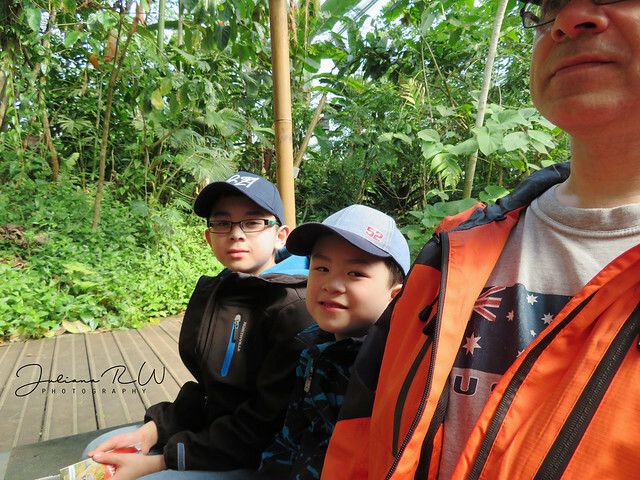 It was long day for all of us, but we had great time and the boys too with the train. Wow, looks like it was a great time! Cool stuff to see and a great experience for the kids. What a great place to visit...the out side is just as amazing as all the pieces inside! How beautiful! I would love to visit (or even live) in the Netherlands. Thanks so much for sharing!! WOW! That's a really lovely building. No wonder it cost so much money to renovate it! I would love to visit Amsterdam one day. Great pictures, I love museums.